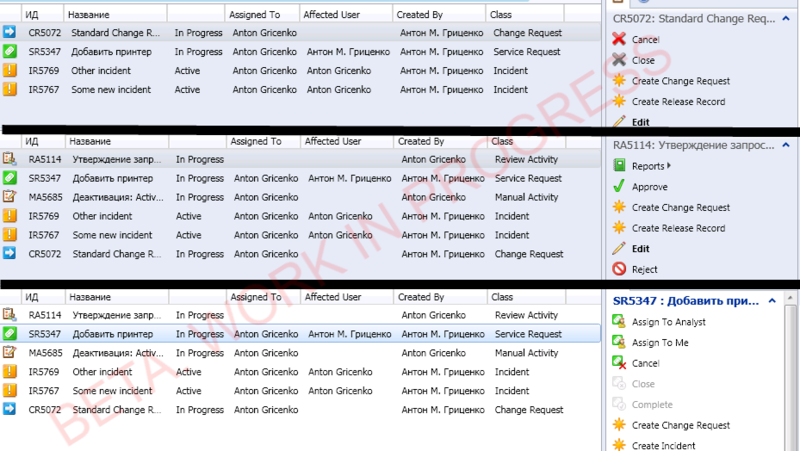 One of the most “most voted” feature of the SCSM 2012 is the My Work Items. The problem is what you can create view targeted to WorkItem (or type projections targeted to WorkItem class) but in this case you can use properties only from WorkItem class (and parent classes). 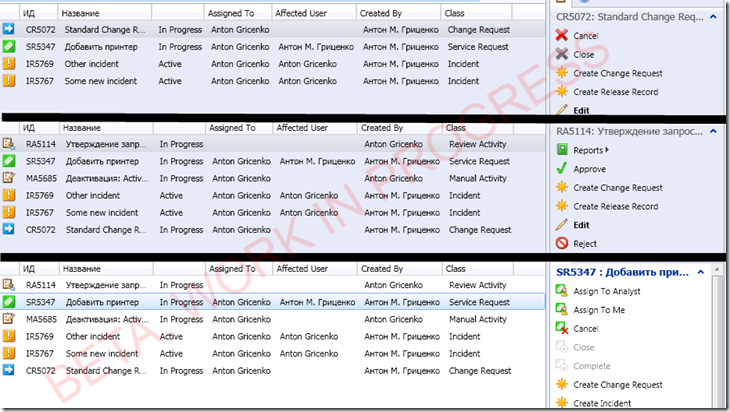 But most properties like Status, Categoty and so on are stored in child classes like Incident, ChangeRequest and other. But if you need use the console tasks you still can’t do this with any of existing (at moment of writing this blogpost) solutions. You can add or remove classes displayed in view by editing the management pack (or with AVE Pro in future builds), you can define columns (and custom columns too) as you usual do it with standard view. You can use standard preview pane (or your custom preview pane). You can change criteria for each type. You can add you custom classes derived from WorkItem. Flexible. And fully customizable. My WorkItems view will be available as part of the Advanced View Editor Pro License. Any guest as to when AVE Pro will be released? What is the anticipated price? Any news on release date, and perhaps some pricing info? Pricing for “Pro Edition” would be great.